Well Sep I wish you the best, however this is a mistake. Who cares who has ownership.everyone gets a fair shake at the money. Just be a team player. Have a good attitude and rock our asses off. We had it back ..y’all were making progress, big progress…great album then, here comes your press release..well thanks. We really had your back this time man..
All us fans that stood behind “Ratt” members. Hey Eddie and some of your followers! From an 80’s girl point of view …. I met SP once. Yes, sadly, he was on the cocky side but I’ve met worse …. Ted Nugent was at top of the list. Anyhow, me and my BFF (as they call it these days) were innocents …. just at the right place at the right time. Autographs and pictures were just fine by us. However, for all the people disn’g SP and other Ratt members ….. keep this in mind …. you didn’t take any offense to them when your buying their albums or attending their concerts. If YOU ARE ON This blog, you’re already a f’g’ phoney …. otherwise, you wouldn’t know who SP was if he spit on you!!!! Another point…. These guys and the music of the 80’s are part of our younger years! After almost 30 years of ‘growing up’ I’d give anything to be in my late teens or twenties again. Listening to Ratt, Bon Jovi, etc brings those memories flooding back. 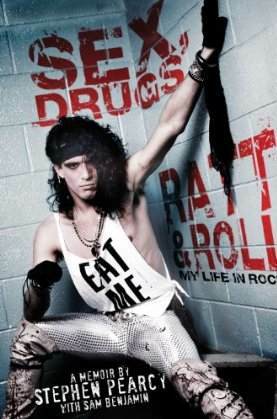 I don’t care about what Ratt or the rest of them ‘grew up’ to be …. but I wouldn’t trade those memories for gold. So weather you’re military (hmmhmm …. speaking of cocky …. pot/kettle? ), blue collar, white collar, rocker, sinner or saint …. again, if YOU ARE reading this blog…. you have NO room to criticize as YOU WERE a fan at one time! Keep your regrets and any pompous opinions to yourselves! Stephen, I sincerely hope you’re reading this ….. If so, I wish you all the best and hope to meet you again one day! Yea, I’m Steven, that guy from Erie P.A. And They just got their original bassist back. ( former Dokken Bassist ). All contributed to their success. And now for whatever reason the singer Steven left. To all are fans!!! Steve. Peace! Ratt with Jake E. Lee played in my back yard on my 19th birthday (1981) in El Segundo.